David Hammond is the principal consultant at Hammond Clinical Trial Consulting, LLC where his practice focuses on regulatory issues associated with research,& development, and FDA requirements that apply to bio-medical and health products. 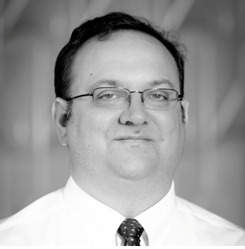 Mr. Hammond holds an MS in Biomedical Regulatory Affairs and has an extensive background in medical research. He provides advice to early stage and established biomedical product companies on regulatory issues across the product lifecycle, from bench top to clinical research, FDA pre-market requirements, labeling, and promotion and advertising. A key aspect of his practice focuses on working with companies creating Lab Developed Tests (LDTs) and helping those groups maneuver the changing FDA regulations. Through his consulting he holds management positions in clinical research, regulatory affairs and quality systems for a number of local medical device companies. 1.Hammond D. “Usability and Self-Selection Trials –– Clinical Studies of Human Factors.” Regulatory Focus. May 2014. Regulatory Affairs Professionals Society. 2.“Genetic Testing & the Enrichment Clinical Trial Design,” D Hammond and J Wei. The Monitor. December 2011. Volume 25, Issue 6. 3.“Verifying and Validating Clinical Data Management Software,” S. Hammond and D. Hammond. Journal of Clinical Research Best Practice. Journal of Clinical Research Best Practice (2008) Vol. 4, No. 11. 4.“Non-Significant Risk Determinations: Just Because You Can, Doesn’t Mean You Should,” D. Hammond. Journal of Clinical Research Best Practice (2008) Vol. 4, No. 10. 5.“Evaluating Clinical Research Education,” D. Hammond. Journal of Clinical Research Best Practice (2008) Vol. 4, No. 9. 6.“Treatment of Periodontal Disease by Photodisinfection Compared to Scaling and Root Planing,” R. Andersen, N. Loebel, D. Hammond, M. Wilson. Journal of Clinical Dentistry (2007) Vol. 18, No. 2. 7.“Non-Surgical Treatment of Chronic Periodontitis Using Photoactivated Disinfection,” N. Loebel, R. Andersen, D. Hammond, S. Leone and V. Leone, J Dent Res 85(Spec Iss A):1150, 2006 (www.dentalresearch.org).